In the 1940s, Viennese visionary architect Frederick Kiesler conceived of the “Endless House,” his vision of an indefinable dwelling. He re-imaged the word “home” to mean anything a resident could need, not merely shelter and place. His “House” never made it past sketches and a few models, despite his 15 years of work. But now, more than 70 years later, a multitude of artists have taken their inspiration from him all the way to MoMA. House designs in sculpture and drawing examine the single-family home as anything but utilitarian. Historical facets of the exhibition include a model of van der Rohe’s Farnsworth house, Helsinki’s flowing modular “Wing House,” and many of Kiesler’s own drawings. More contemporarily, artists Louise Bourgeois, Bruce Nauman, Rachel Whiteread, and Mario Merz have contributed art’s take on the concept. The installation will feature drawings, photos, video, and architectural models drawn from MoMA’s collection at large. The exhibit is intended as a celebration of Kiesler’s life and works. The exhibit will “demonstrate how the dwelling occupies a central place in a cultural exchange that crosses generations and disciplines,” according the MoMA’s site. 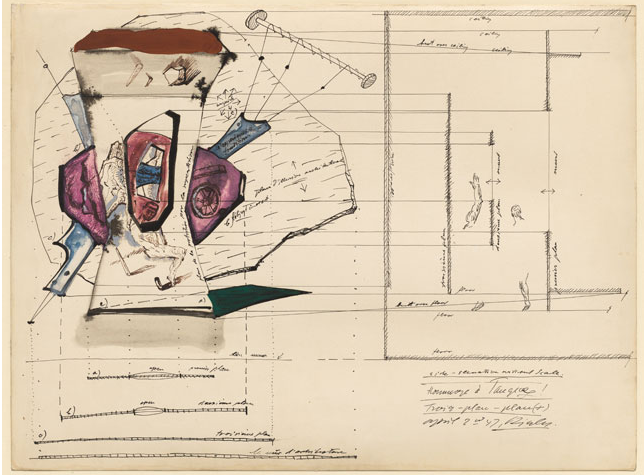 Kiesler imagined the habitat as a living organism, a composition of different spaces rather than a stationary thing. His images seem more like animations than the drawings that they are; his creative process is truly to be admired. The works taken as a whole are a powerful commentary on how home and specifically the dwelling is inherently central in all cultural exchanges, regardless of generation or discipline. It also marks the 50th anniversary of Kiesler’s death in 1965, and shows his impact on the art of architecture. “Endless House” will continue to show at the Museum of Modern Art until March 6, 2016. The influence it has made on modern architecture will continue indefinitely.